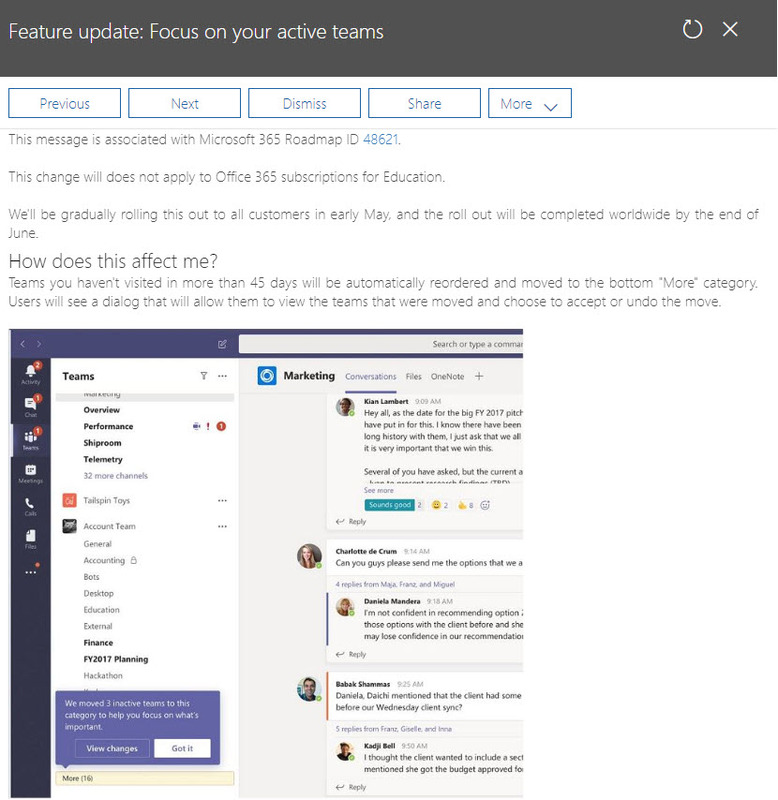 Office 365 notification MC177587 tells us that Teams will soon start to move underused teams to the More section of the teams gallery, letting users concentrate on the set of teams that they really use. 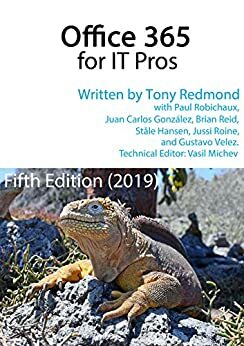 Background agents do the work of detecting teams that haven’t been accessed in 45 days or so and users get the chance to reverse the process. But it’s a good idea to let users know what’s coming, just in case they panic when they can’t find a moved team.